Generally speaking, the law considers the fruits and revenues of separate property community property of a marriage. For example, the purchase of a rental property before marriage. The rent payments received during the marriage from that rental property would generally be considered community property. Even if the property itself is classified as separate property. In order to protect your property rights from becoming co-owned by your spouse in Louisiana you will need a Declaration of Paraphernality. “The natural and civil fruits of the separate property of a spouse, minerals produced from or attributable to a separate asset, and bonuses, delay rentals, royalties, and shut-in payments arising from mineral leases are community property. Nevertheless, a spouse may reserve them as his separate property as provided in this article. A spouse may reserve them as his separate property by a declaration made in an authentic act or in an act under private signature duly acknowledged. 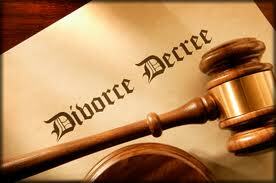 The attorney will provide a copy of the declaration to the other spouse prior to filing. It is of note that although the law doesn’t require the consent of the other spouse, the article states that the filing spouse must provide a copy of the declaration to the other spouse and be filed in the conveyance records of at least one parish. This article contains some very subtle complexities that have been the subject of debate in recent years. In order to execute an effective declaration under this article, contact an attorney. Contacting a Louisiana Separate Property Lawyer at the Weiser Law Firm today at 504-358-2273.